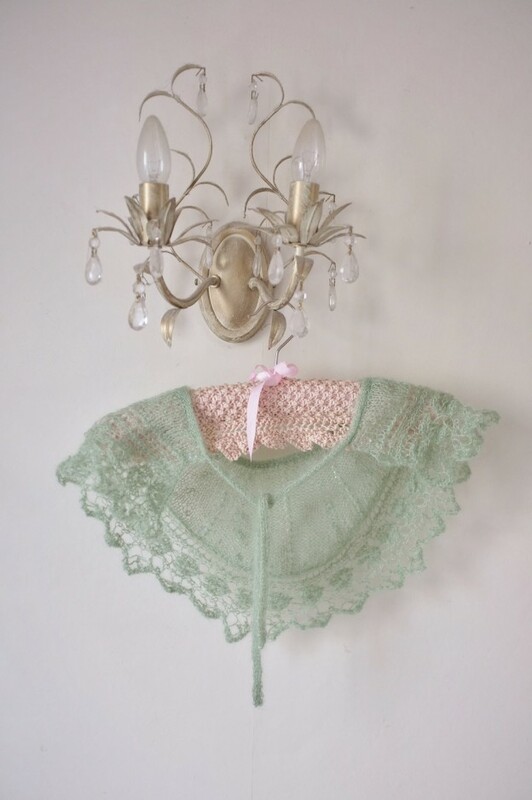 I wanted to design a pretty cover-up for strappy summer dresses or tops, so I came up with this charming little cape. 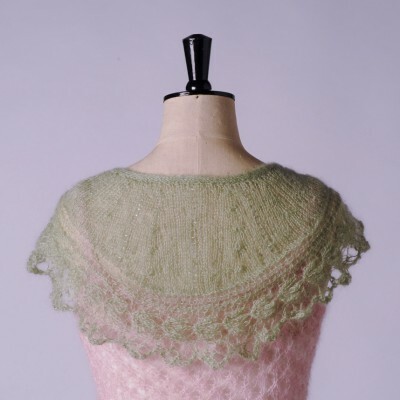 I’ve used the same lace edging that is on Butterfly Dress, then shaped the cape, adding the same small glass beads. 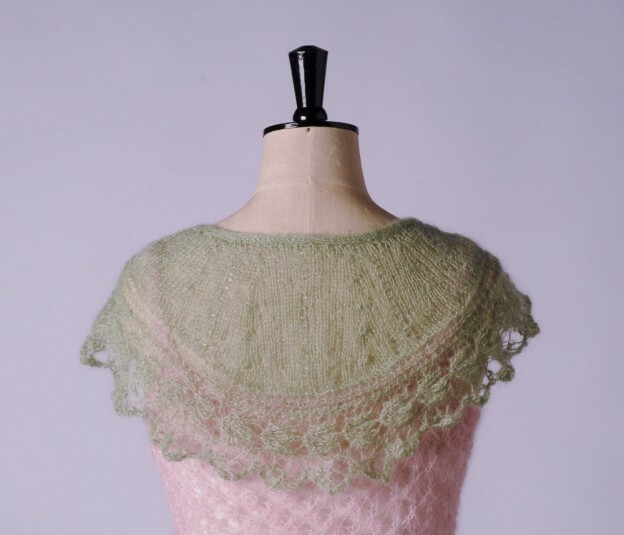 The capelet is simple to make and is very versatile – it could be made in any fine or medium yarn. 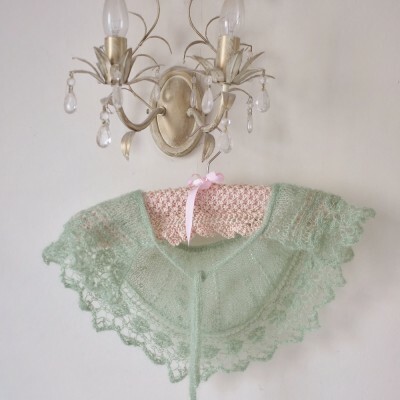 Yarn: The capelet is knitted in Rowan Kidsilk Haze and I’ve used small 3mm glass seed beads. 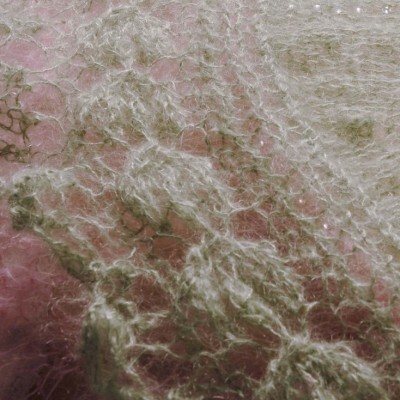 Tension: 17sts and 24 rows to 4″ (10cms) measured over stocking stitch using 5mm (US8) needles. 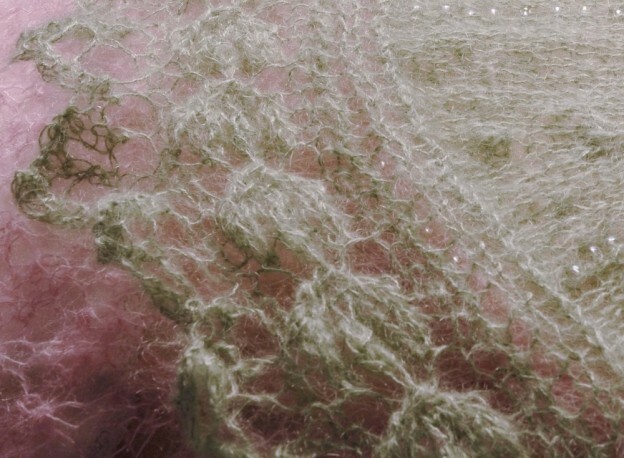 Needles etc: Pair each of 5mm (US 8) needles and 2 x 4mm (US 6) short double-ended needles for neck tie.